PureousTM Grout Cleaner is a revolutionary new product that work by use of PureousTM powered technology that cleans on the molecular level. Common grout cleaners are among the most dangerous products in use, most of which are strong acids that can easily damage tile and stone. PureousTM Grout Cleaner is SAFE and EFFECTIVE. The technology behind our PureousTM Grout Cleaner will likely revolutionize the way we clean grout. Today common grout cleaners are among the most dangerous products in use as they contain chemicals such as strong acids. 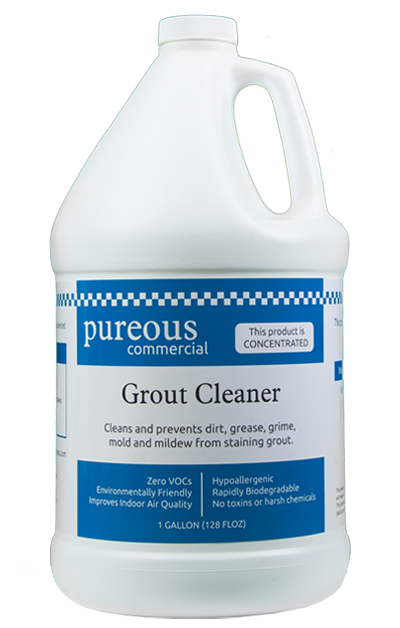 PureousTM Grout Cleaner has been proven to work better, last longer, and does not contain toxins or harsh chemicals. 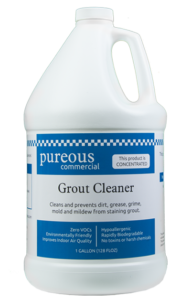 In addition, PureousTM Grout Cleaner has ZERO volatile organic compounds (VOCs).